Sony India has enhanced its flagship full-frame G Master series lenses line-up with the launch of the 24mm F1.4 Prime lens. This lens is claimed to deliver exceptional performance across all aperture settings. 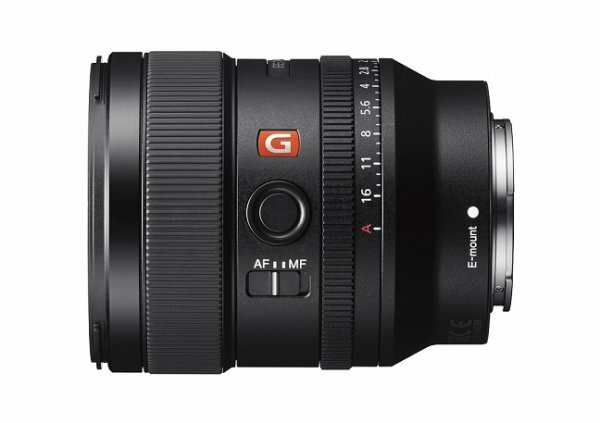 The new 24mm F1.4 GM (model SEL24F14GM) has a compact, lightweight design and weighs a mere 445g. The new lens captures details in high resolution across the entire frame, even at F1.4, and boasts a new optical design comprising 10 groups with 13 elements featuring two XA (extreme aspherical) elements and three ED (Extra-low Dispersion) elements. The incorporation of two XA elements effectively suppresses sagittal flare so that point light sources are accurately reproduced. Sony’s unique Nano AR Coating is applied to reduce flare and ghosting for impressive clarity, even in landscape shots where the position of the sun is often problematic with a normal lens. This is lighweight and compact lens and can be used on Sony’s Full frame mirrorless cameras such as a7 and a9 series. It has new high power Direct Drive SSM which delivers approximately three times greater thrust than the previous Direct Drive SSM, enabling fast response, high positioning accuracy and quiet operation for both stills and movie shooting providing ultra-image stabilization. Besides its landscape and starscape shooting abilities, it delivers excellent close up performance of 0.24 metres (0.79ft.). As a member of Sony’s flagship G Master lens series, the new lens features an incredible level of resolution and soft, natural bokeh. As bokeh quality is directly affected by spherical aberration and axial and lateral chromatic aberration that can also cause colour bleeding, all of these factors are controlled at the design and manufacturing stages to achieve maximum image quality. The FE 24mm F1.4 GM also includes a number of professional controls that bring ease of operation for both stills and movie shooting. An aperture ring allows direct, intuitive aperture control whilst an aperture click switch makes it possible to enable or disable click stops as required. The focus ring features Linear Response MF for fine, responsive manual focus control, giving the user the control immediacy needed for fast, accurate manual focusing. The focus hold button is customisable and a focus mode switch makes it possible to quickly select auto or manual focus to match changing shooting conditions. This lens will be available in selected Sony Center, Alpha flagship stores and major electronic stores across India from 12th October at Rs. 129,990. 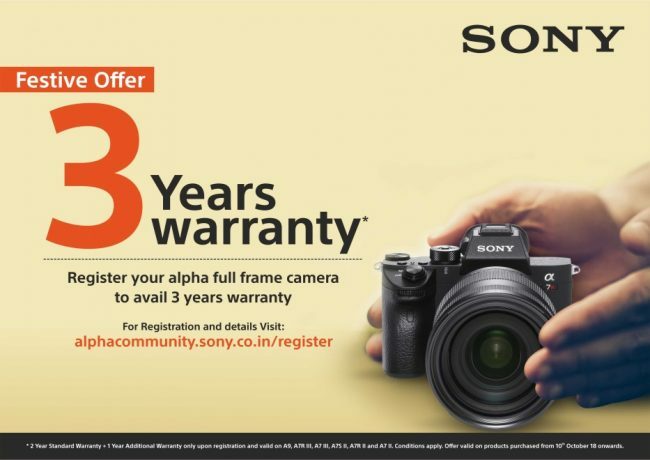 Their is another good news for buyers of Sony cameras as the company has announced one year additional warranty on select range of Alpha Full frame cameras for festive season. Sony is the first digital imaging company to offer three year extended warranty as against the standard two years. This offer is valid on the cameras purchased starting 10th October, 2018 upon registration on Alpha Community. Alpha Full Frame cameras on which Three year extended warranty is applicable include A9, A7R III, A7 III, A7R II, A7S II and A7 II.